Finding my Spark has moved to FOUND my Spark! When I look at my page I see the "Member Since 9/2/2009" listed there, honestly it used to make me sad. It made me sad because for almost 6 years I struggled with starting and continuing on the path of healthy choices and working out. I failed to find the inner spark I needed to really be inspiring or motivational to anyone. I can remember being intimidated by that date because I should have been so much further.....I should have been done with my weight loss journey and living the life of maintenance by now! BUT....that isn't my story, and honestly I'm totally 100% alright with that. I am fine with that date now and won't let it haunt me because it is JUST a date. In fact it is a date from the past that does not matter one bit! The date that matters to me is 6/8/15 because for me that is the date that I took control of my life! That is the date that I found MY Spark. What do I mean by I found my Spark you may ask? That means I looked in the mirror and said enough was enough and started to workout for ME. To eat healthy for ME, and to be positive for ME. I wasn't doing anything for anyone, for more follows on FB or Instagram. 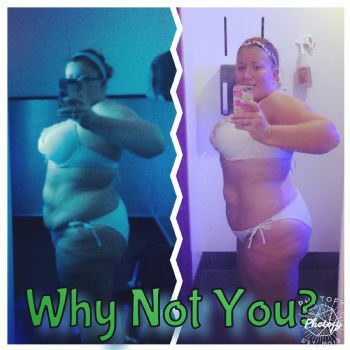 I was going to complete 21 Day Fix for me and share as much as my journey as I could to help hold myself accountable. DO YOU KNOW WHAT HAPPENED?? I became addicted, I wanted more and more and that took me from one round of 21 Day Fix to now starting my 4th round. Have I been perfect, NO. Have I made mistakes, YES. Yet the ONE thing that I have not done is given up. I have NOT let the excesses that I could easily give tear apart the Spark I have and the desire to not give up. Even with finding out my Mom #2 and my husbands mom both have stage 4 cancer, here I am pushing through....using my workouts as distractions from the pain and helping me to be stronger for them both. Life is going to keep moving, it is going to keep throwing obstacles in our way. I'm just no longer using any of it as a reason not to be healthy and not to get what I need to do daily to be healthy. I still struggle to be on point during the weekends and know that is something that I need to work on. It is a goal of mine this fall to limit my "cheats" to only one day and not go all day with that. Everything in moderation and nothing over board! That is totally my fall/winter goal! Here is a little motivation that I recently shared on PEP, FB and Instagram. I wanted to show people that even with a few step back, not being on point 100% the main thing is being Consistent and the changes will start to show. I am beyond proud of myself and what I have accomplished! That was a great blog. You have indeed found your spark and a way to live a healthy life. Awesome blog! I too have found my "spark" compared to other weight loss attempts. I first joined SP in 2009 as well (April maybe). I rejoined last summer and have been being consistent since. That really is the key to success, but it is such a hard key to fit sometimes. You are doing so great and are super motivational, especially with so much going on in your family! you are an inspiration!!! Way to go!!! I am very very proud of you & am in a similar boat. Started a new Spark ID thi to have a ckean slate. Keep uo the good work. U r looking GREAT!!! Very inspirational blog. THANK YOU SO MUCH for your sincerity, honesty ans example. Wish you lot of strength with all the family medical news. Wishing all the best in your journey. I added you as a friend. LOVE THIS POST! YOU GO GIRL!